A quick read on the goings on of the world. It’s [relatively] neutral, punny, and includes important world and domestic news in a quick, easy-to-read format with links to full articles. Relatively new, The Newsette is a fashion and pop-culture focused digest that gives a brief rundown of everything happening in the fashion world (think more Marc Jacobs collabs, less Kim K nonsense). It also has inspiring Instagram feed recommendations, and has a really cool new day-in-the-life section on women in various roles and industries, from powerhouse brands to entry-level “regular girl” stories. Their website is full of awesome content, too. Globe St. is a well-known commercial real estate publication and it has a really cool opt-in for email digests based on various industry-types (retail, industrial, multifamily), geographical locations, etc. You have to create a login, but it’s free. This one comes in the form of headline-only digests, so anything you want to read more on, you have to click through to the article. You used to have to sign in every time you clicked on an article, but thankfully, they recently changed that and you are logged in automatically when you click the article link so now it’s easier to read what you want. CPG Insights comes from CB Insights, which is a private market database provider. CPG Insights is focused on consumer packaged goods, startups, and other innovation. It’s longer than the other digests, but has easy-to-browse content on interesting startups from all different industries. 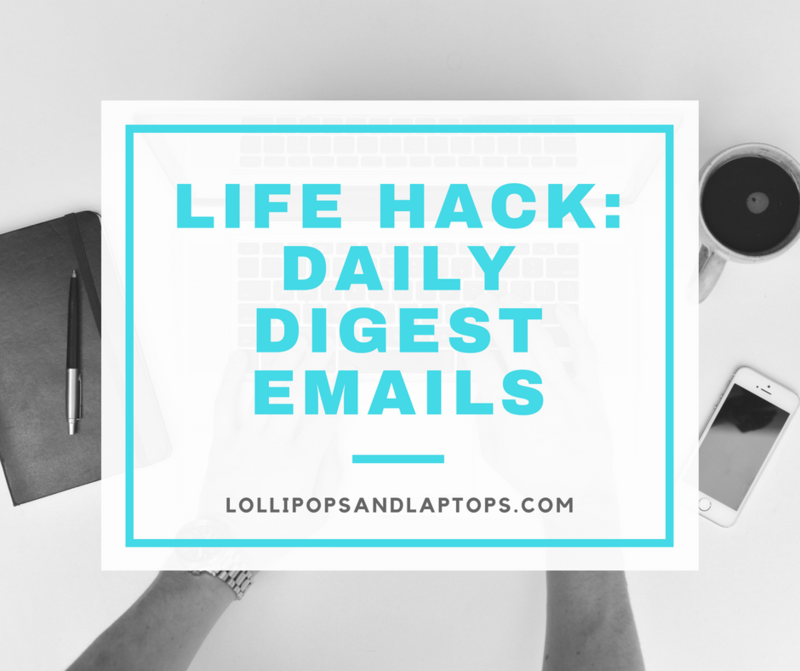 I’m always looking for hacks to make life easier (see this and this), and these daily digests have been hugely useful for me. What are your favorite daily digest emails?